The Water Risk Monetizer is an easy-to-use tool designed to help businesses quantify in monetary terms the water risks related to availability and quality. Access actionable information to help businesses understand and quantify water-related risks in financial terms. The relatively low price of water often means the risks associated with its use are overlooked. The Water Risk Monetizer helps you assess water-related business risks to understand the gap between what your business pays for water and the potential costs of water risks to your business. The Water Risk Monetizer was launched in 2014 and developed by Ecolab, a global leader in water technologies and services; Trucost, part of S&P Dow Jones Indices, a global leader in valuing natural capital; and Microsoft, the leading platform and productivity company for the mobile-first, cloud-first world. Through this collaboration, the tool leverages industry insights, advanced analytics and Azure Cloud technology to help business leaders easily access information to better understand the impacts of water scarcity. By assessing the impact of declining water quantity and quality on operations, the Water Risk Monetizer provides actionable information to help companies turn water risks into business strategies that enable growth. The Water Risk Monetizer can be used to help businesses better understand water risks and the potential cost implications of water scarcity at a facility. The data provides valuable information to help assess different business models, determine how water costs or scarcity may affect growth plans and help inform business decisions. To view a list of the expert advisory group members, please see page 2 of the WRM methodology paper. To see how Microsoft leveraged the Water Risk Monetizer, please see the case study available here. How can my company assess its water risks? 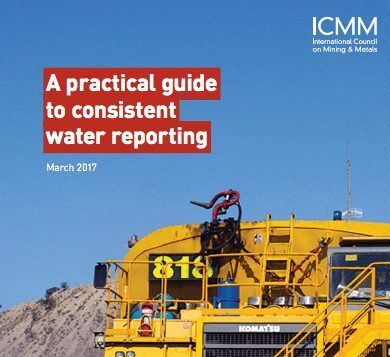 Inform and strengthen your company’s water management strategies and allow your investors to evaluate current water management activities against detailed definitions of leading practice.